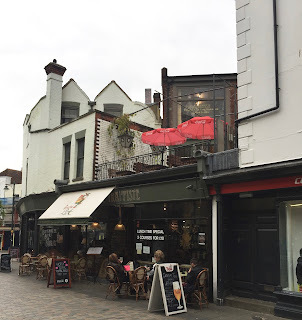 We have chosen the charming cathedral city of Canterbury as the location for our summer weekend workshop which will include part taught and part freestyle sketching within this most beautiful of locations. Both of us are teaching workshops at the USK Chicago symposium in July and feel our workshop approaches are complementary - and both integral to capturing and evoking a sense of place; myself (Simone) by my precise understanding of architectural drawing and perspective which generally underpins urban sketching, and Pat with her exquisite calligraphy and emotional response often through the use of colour, to what she sees. 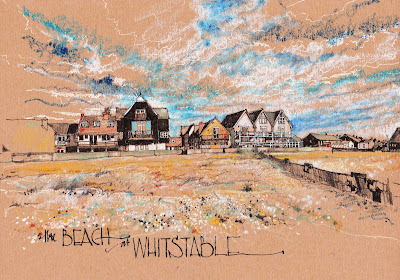 We believe that our 2 workshops combined with demonstrations, informal guidance from enthusiastic tutors, and time to explore Canterbury and the picturesque seaside town of Whitstable will be an inspiration to keen urban sketchers whether beginners or experienced; there should be plenty to inspire and delight everyone! I spent five years studying architecture at Canterbury School of Art, now University of the Creative Arts, so have extensive local knowledge - and in preparing for this workshop I recently revisited a number of favourite locations where sketching sessions will be based. Because I have such fond memories of Canterbury and when I discovered urban sketching, I really wanted to return and immerse myself in a weekend of sketching there - needless to say I have been planning this workshop for quite some time! 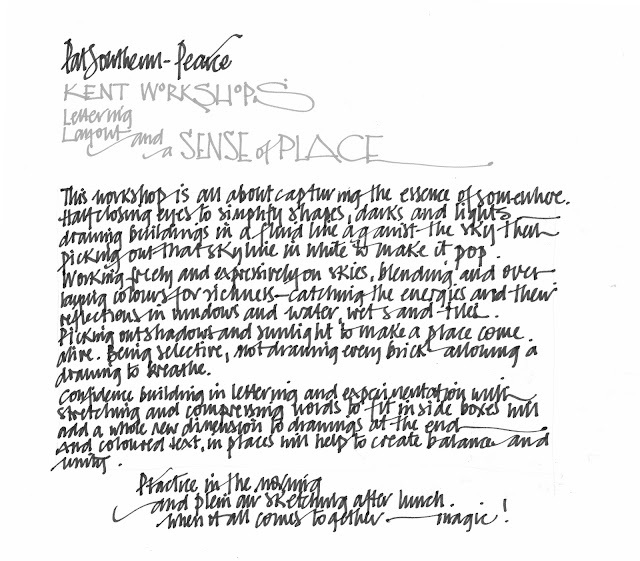 It developed as primarily an urban sketching art holiday combined with some taught sessions to enthusiastic and like-minded sketchers, but then when I discovered that Pat Southern-Pearce might be in Kent around the time that I was planning to do this weekend workshop, it all fell into place. Two very different workshop approaches but both of us practitioners dedicated to evoking a sense of place in our own special way. 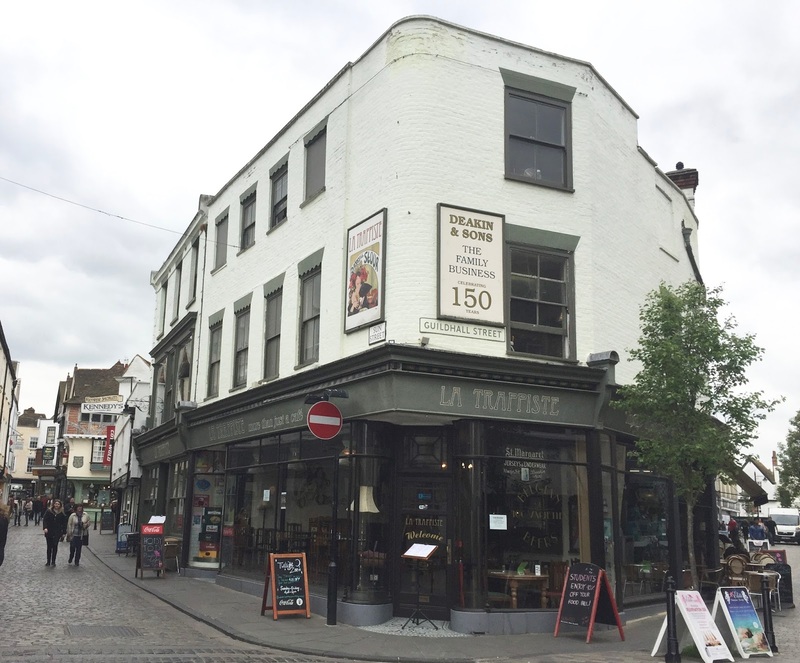 We are planning to use the first floor of the centrally located café /restaurant La Trappiste on Sun Street for our main base. 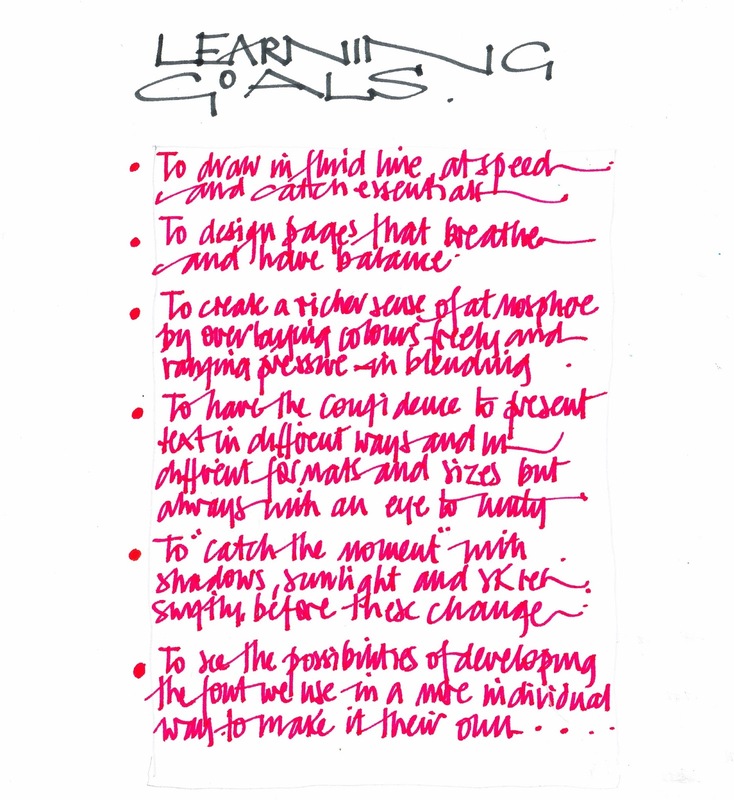 We will start our day here and Pat’s lettering and layout sessions will be facilitated here. Hopefully if good weather, we’ll be able to take advantage of the first floor outside terrace! To truly evoke a sense of place, you have to understand the basic principles of setting out the view that’s there in front of you. 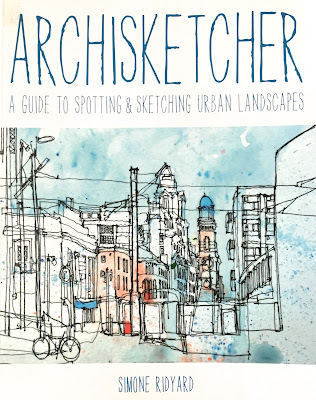 This is an energetic and lively workshop focusing primarily on the basic principles of one and two-point perspective through demonstrations, tips, techniques and exercises that were covered in my book Archisketcher. Aimed primarily at beginners but structured in such a way to be a good refresher workshop for more experienced sketchers. As well as looking at perspective, we will also be looking at ways of ‘capturing the big picture’ – whether that's Canterbury cathedral remains to be seen! Understanding of one and two-point perspective; how they work in real life views, rather than just as a theoretical exercise; where to find eye level and the elusive vanishing point. Working within an allotted timescale…no pressure then! 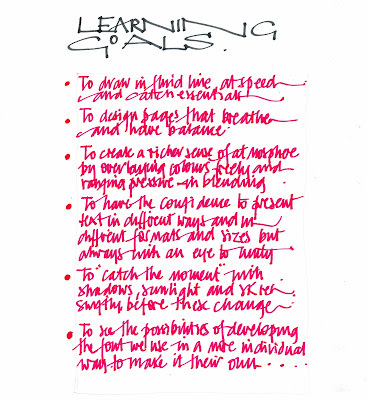 Also tips about how to ‘capture the big picture’! 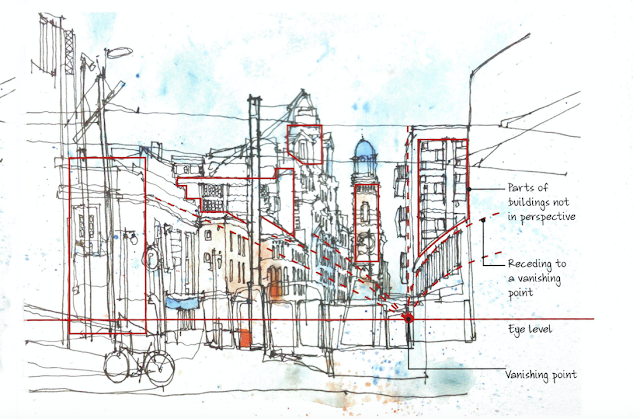 In brief, the first hour focuses on one-point perspective, then we’ll touch on two-point perspective and the last hour is your opportunity to focus on ‘capturing the big picture’ and using your understanding of perspective to help evoke a sense of place. 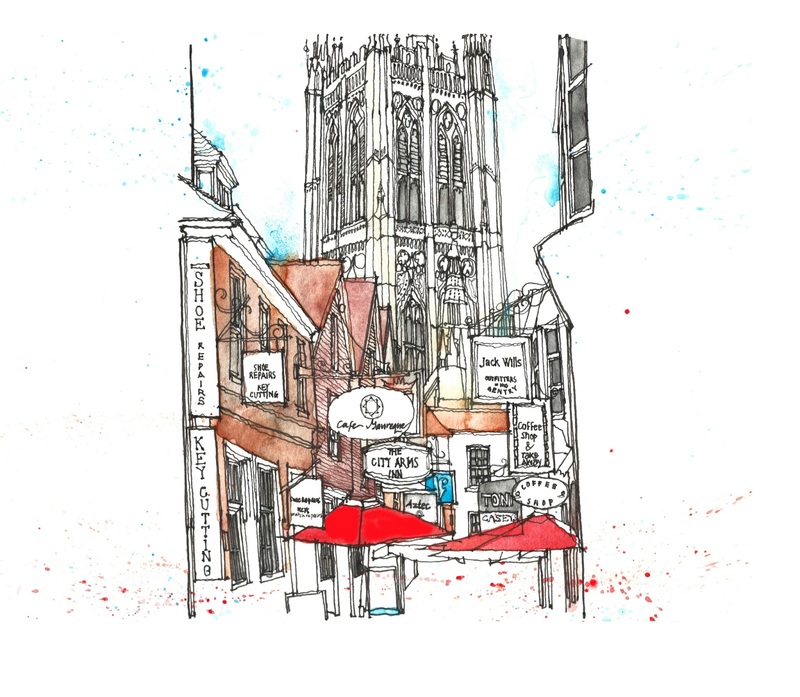 2.00-5.00pm: Afternoon sketch crawl around Canterbury and as a group we’ll explore and sketch the glorious Canterbury cathedral and its grounds (entrance fee included). This session to include a 30-minute perspective demonstration by Simone followed by early evening ‘drink and draw’ sketching in a pub garden (possibly The Dolphin,17 St. Radigund’s Street,) first drink included. Evening: Optional dinner at Posillipo, 16 The Borough, set menu limited choice 3 courses £24.95 - (not included in the workshop fee, but can be booked when registering for £20). 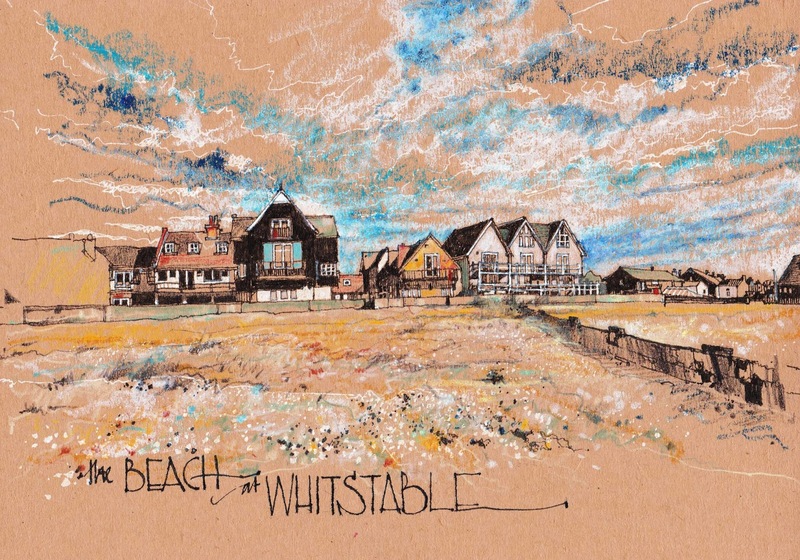 10.00-11.00am: coach to the picturesque fishing village of Whitstable to draw by the coast! 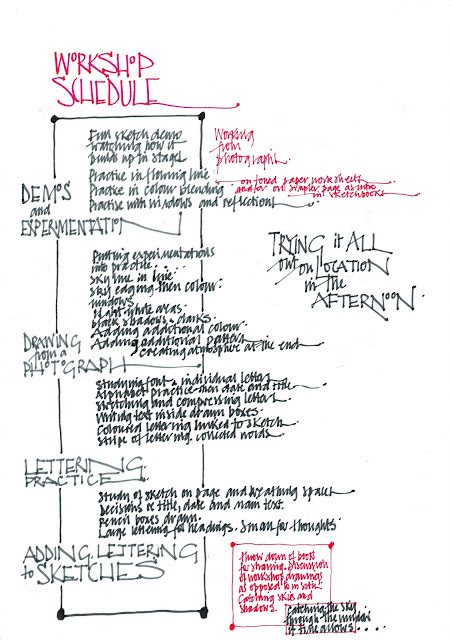 2.00-3.30pm: Lunch followed by final sketching session 2-3.30pm. Pens or pencils. Simone uses Unipen fine-liner pens 0.1-0.5mm (lots of them!) 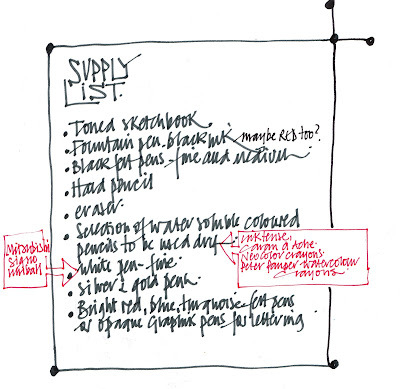 or pencils (B-2B). 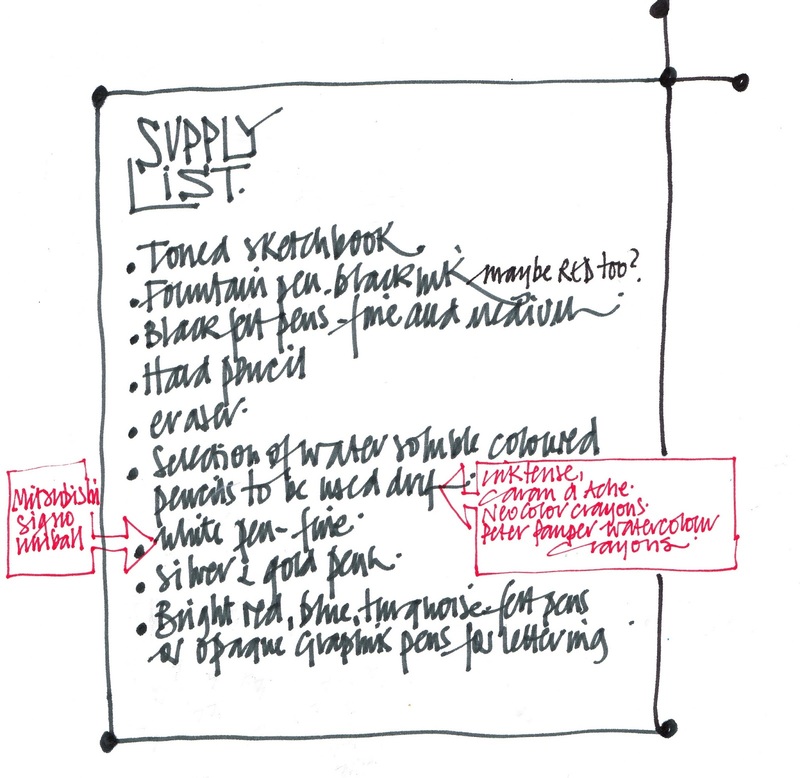 Suggest A4 or A3 sized good quality cartridge paper to get the best from the exercises, either in a pad or masking taped to a board. 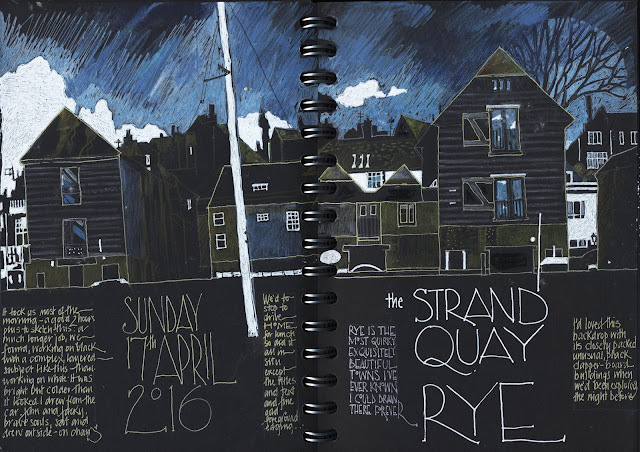 Sketchbooks are fine for the final drawing; Simone uses an A5 Moleskine watercolour sketchbook and likes to draw across a double page., probably best not to have a spiral bound book. Your favorite sketching materials for the final sketch; colour, mixed media; whatever you prefer welcomed...and encouraged! Sun hat and folding stool, if it’s hot weather we’ll try and draw in the shade – but we will be outdoors. Pat has more detailed requirements! £200 (£220 including optional £24.95 3-course dinner on Friday night). Please confirm when booking if you wish to join us for dinner. Non-sketching friends and partners are welcome to join us for a small fee, please enquire when booking. Email simoneridyard@hotmail.com for a registration form or any queries. In progress – hoping to get sponsorship from local art suppliers, will update in due course. We hope you find our workshop proposal of interest and please contact me if you have any questions. Accommodation in Canterbury is pretty expensive during the summer months, so if you want to join us I'd recommend booking as soon as possible. Canterbury is an hour from London St Pancras on the high-speed service so it's possible to travel down on Friday morning (so saving on a night's accommodation). If we have a few people planning to do this, we might move the start time - but this can be finalised nearer the time. With all best wishes...we hope you are excited as we are about delivering this workshop! 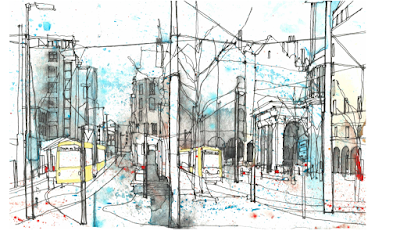 7th annual Urban Sketchers Symposium is coming to Manchester! 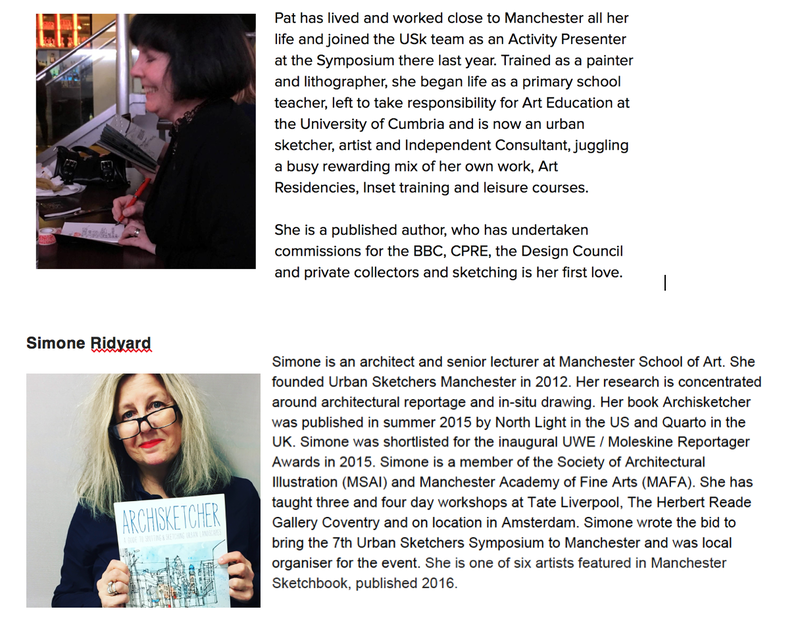 I am delighted to confirm the 2016 International Urban Sketchers Symposium will be held in Manchester, UK 27th-30th July 2016. The symposium is an annual educational and networking event organised by Urban Sketchers, a nonprofit organisation dedicated to fostering the practice of on-location drawing. Sketchers of all levels, experience, and backgrounds are welcome. Join our Facebook group to discuss USk Manchester 2016. Any advice you need about travel arrangements, hotels etc - just ask in the group or contact me directly as I am the local organiser and was responsible for the successful bid to host the event in Manchester https://www.facebook.com/groups/1633806703541999/ I hope we get to welcome you to our fabulous city next July! It's been a mad and hectic few months, what with it being the busiest academic term of the year and also I've been working on my book on architectural sketching which is due to be published in summer or fall 2015; you can tell it's being published first in the USA! The publisher is North Light Books in the USA and RotoVision, part of Quarto Books in the UK. I've seen the first draft and it's very exciting for me as it's the first book I've authored. 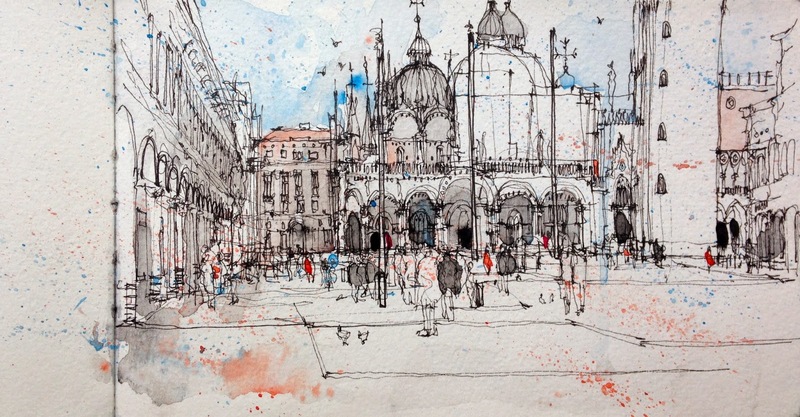 And equally as importantly, I have some fabulous contributors from the world-wide urban sketching community! I'm not sure how much I'm allowed to say at the moment but I will post a more detailed update when I know I'm allowed to. 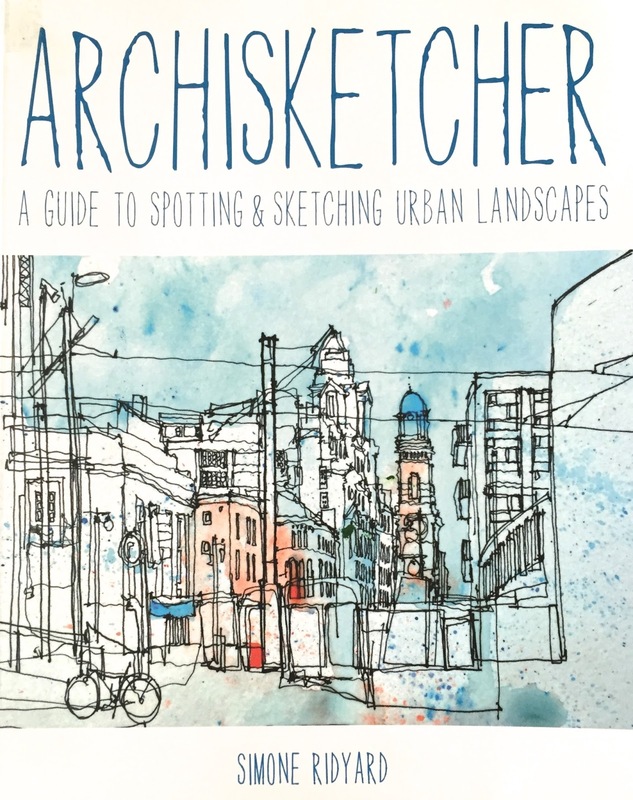 I'm genuinely delighted at the opportunity to author this book and I hope it will be a valuable contribution to the increasing number of books about urban (and architectural) sketching. In the meantime I'd like to wish anyone reading this post warmest wishes for the festive season and very best wishes for 2015! Sorry its been so long since my last post...I'm not sure where the time goes! 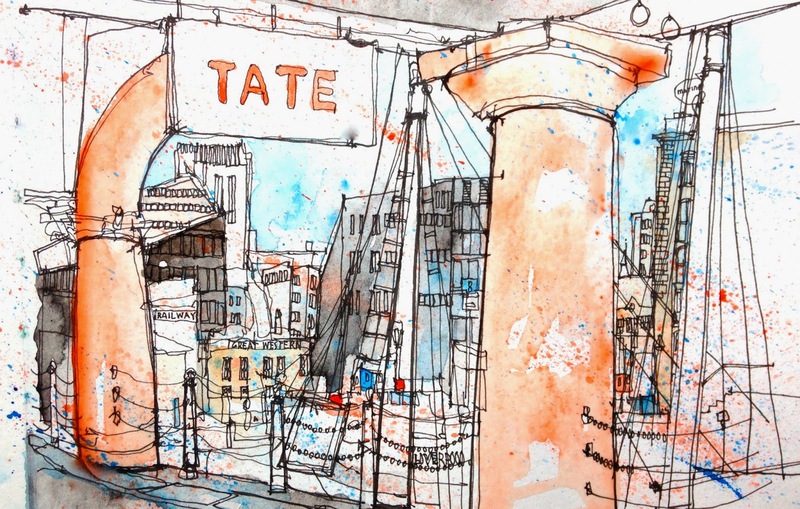 Here is the link to my Tate Liverpool summer school 'Drawing the City' July 22-24th. It's actually fully booked but the Urban Sketchers Manchester Liverpool Tate SketchCrawl is on Saturday 12th July and this coincides with the 44th world-wide SketchCrawl. All welcome, no experience necessary, join us for all or part of the day - or please get in touch with me if you'd like more information. 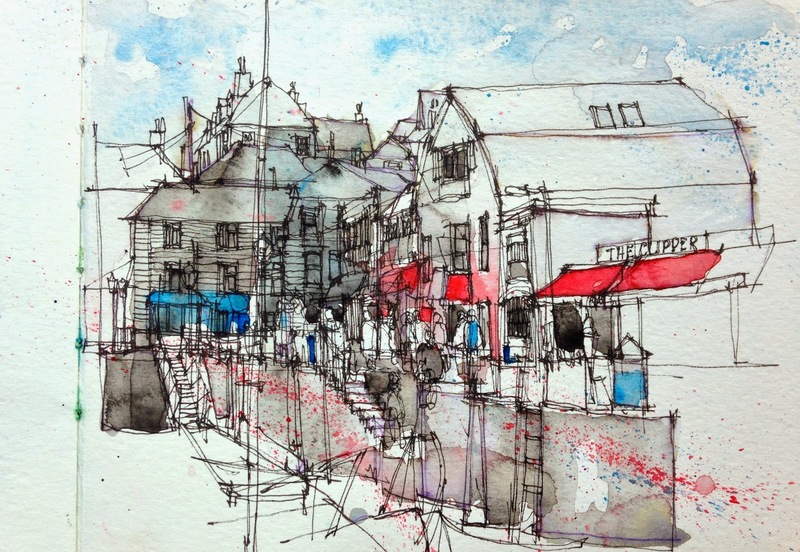 Sketching out and about in Padstow, North Cornwall. Busy harbour...lots to draw! 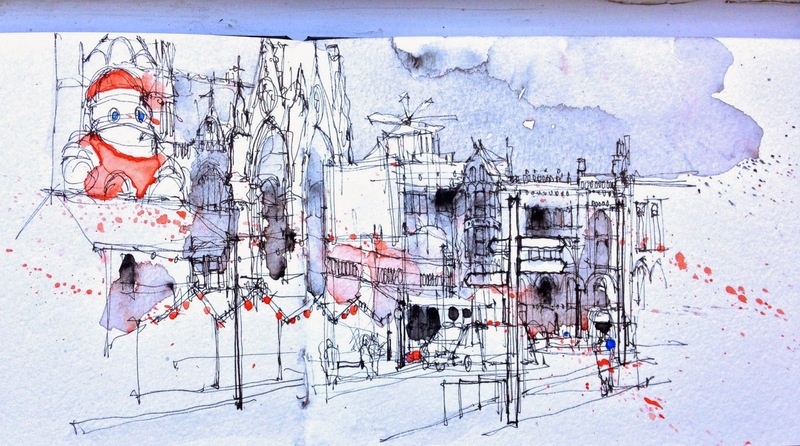 Urban Sketchers Manchester were invited to sketch at the 'Big Green Happening' festival in Manchester yesterday. It was at St Clement's church, which is in Chorlton - a leafy cosmopolitan south Manchester suburb, and the event was about promoting sustainability and a greener way of life. Lots of really interesting eco-businness in attendance including quirky craft stalls, delicatessens, vegan food, craft beer, organic wines, bicycle repairs and ethical fashion…and as the website says the event was promoting...'campaigners, makers, doers, growers, educators and builders'. It was a really friendly family orientated event...how nice on a lovely spring afternoon which was perfect urban sketching weather! Here's my drawing from the afternoon (too much talking...much of it about urban sketching rather than drawing in my case!) 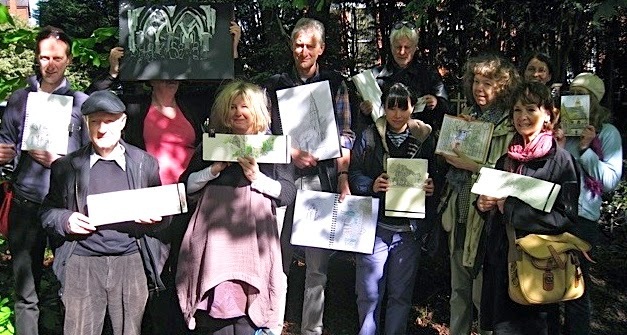 and also a photograph of us with our finished drawings in the sunshine. 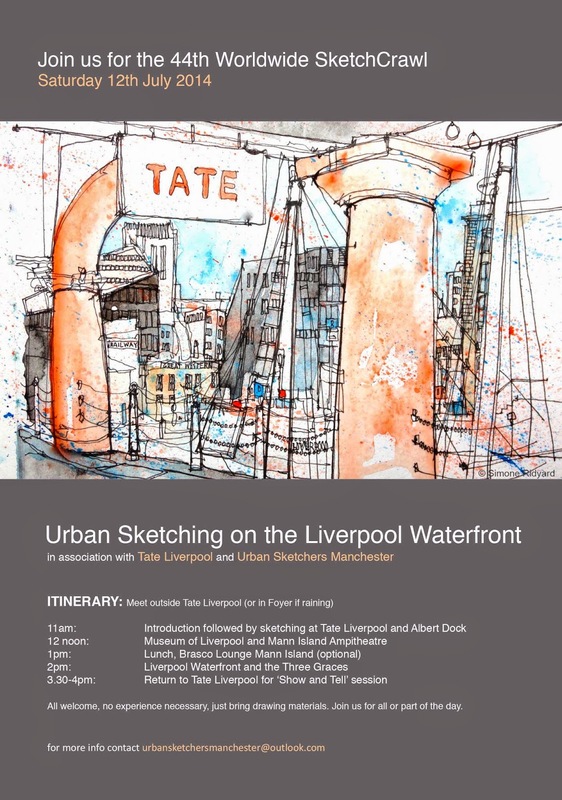 As a companion event Urban Sketchers Manchester will be partaking in the 44th Worldwide SketchCrawl on Saturday July 12th and visiting Liverpool, starting outside the Tate at 11am. Full details and itinerary to be published in due course. I studied architecture at Canterbury College of Art and now lecture at Manchester School of Art. 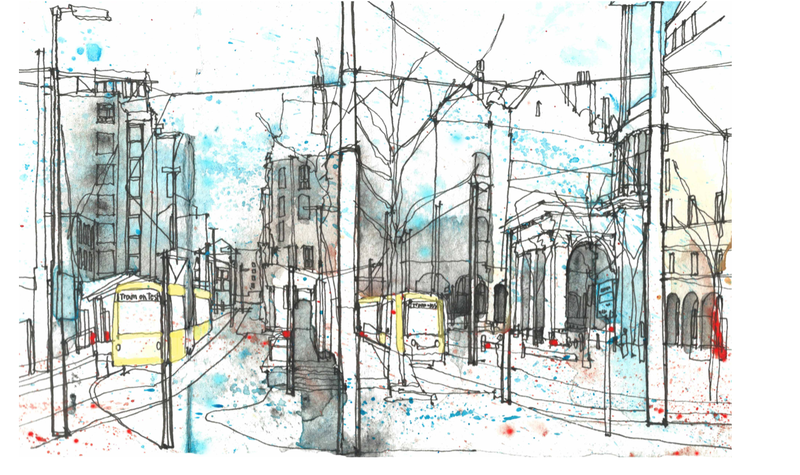 I am a member of the Society of Architectural Illustration (MSAI) and founder of Urban Sketchers Manchester. I am interested in drawing as a way of communicating ideas and a keen urban sketcher. This blog documents my recent work, and the pleasure to be had in recording our immediate landscape through drawings, paintings and stories. All images except where identified are by Simone Ridyard. please contact for permission to use. Simple theme. Powered by Blogger.